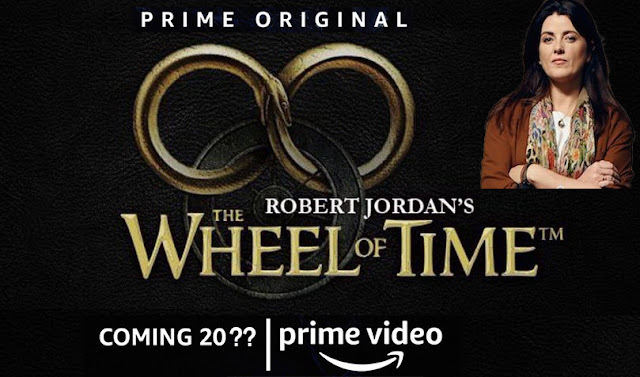 Could There Be An Episode 0 Of The Wheel of Time TV Show? From Amazon’s description, it looks as though the series will start with the 2004 series prequel New Spring. The story will follow Moiraine, a mage who might be one of the prophesied saviors. The story follows Moiraine, a member of the shadowy and influential all-female organization called the ‘Aes Sedai’ as she embarks on a dangerous, world-spanning journey with five young men and women. Moiraine believes one of them might be the reincarnation of an incredibly powerful individual, whom prophecies say will either save humanity or destroy it. Putting that aside though, it was the first sentence that got Narg thinking. At first, Narg just dismissed it out of hand, as we know from Rafe's tweets, that the names of Episode One and Two are 'Leavetaking' and 'Shadow's Waiting'. Both of which are chapter titles from 'The Eye of the World', and not 'New Spring: The Novel'. Seemed like a no brainer, that the writer was just making stuff up...but then Narg had a thought...What if there is an Episode 0. "Prequel episodes typically occur chronologically before "episode 1" in terms of show timeline, while pilot episodes typically occur chronologically before "episode 1" in terms of the real world, and so it makes sense for either a pilot or a prequel to be numbered "episode 0"." Question: Hey @rafejudkins! How would you like to handle the prologue of EOTW, and the prequel scenes from New Spring? Rafe has plans for the prequel, and is being coy about it! While the prologue could work as flashbacks latter on as Rand starts to hear Lews Therin(assuming Ep1 doesn't start with it), Narg can't see how 'New Spring: The Novel', could be worked into the show any other way than it coming first. "But Narg, they can't possibly fit a 336 page Novel into a one hour TV episode!" So adapting all of the novel into one episode doesn't seem feasible, but before there was 'New Spring: The Novel', there was 'New Spring: The Short Story', in the 'Legend's' anthology. That came in at only 78 pages... Totally doable! From memory the shorter version takes place entirely in the Borderlands and Chachin. Starting with shorter version of New Spring, fits with Amazon focusing on Moiraine in their press release, and it also has the added benefit of softening the Tolkienesque feeling of EotW. We get to see Moiraine and Lan, as more than just Gandalf and Strider clones. Handing her Arrow's reins, he said, "Where do we ride first?" "Back to Chachin," she admitted. "And then Arafel, and..." So few names remained that were easy to find. "The world, if need be. We win this battle, or the world dies." Side by side they rode down the hill and turned south. Behind them the sky rumbled and turned black, another late storm rolling down from the Blight. Don't know about you, but Narg thinks that's a damn good lead-in for Episode One! All of this, is of course, pure speculation on Narg's behalf. It would however be a sweet move by Rafe, to dazzle us with the episode titles, and then surprise us with the prequel. Doubtful, but maybe just a little bit plausible? What say you? 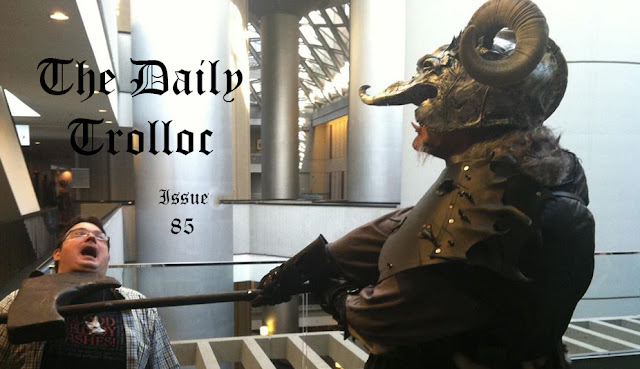 Please note that the TheDailyTrolloc.com has no affiliation with Amazon Studios, Sony, Radar Pictures, The Bandersnatch Group or Red Eagle Entertainment.